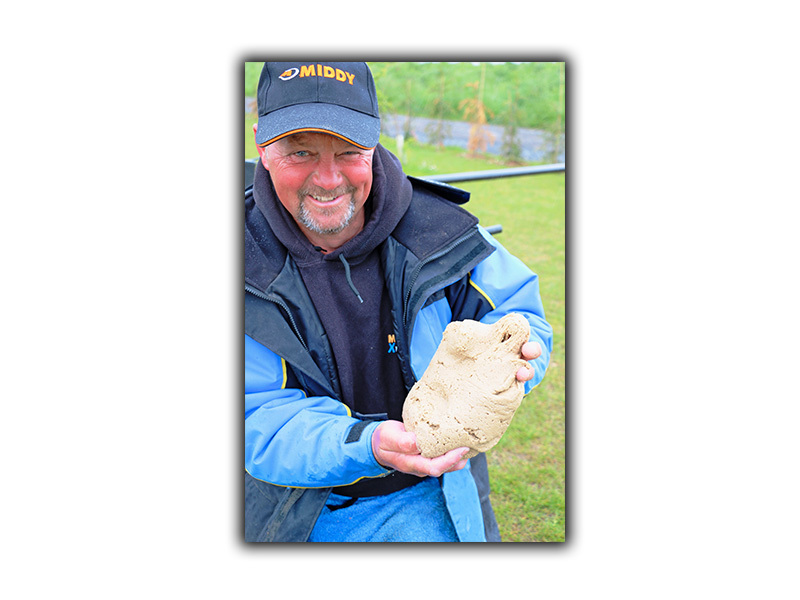 “One of the most frustrating elements of paste fishing is trying to work out what a bite is. The float will constantly bob around when there are carp around the hookbait, but you are looking for it to dip quickly. “If I am getting plagued by small fish or I’m having to wait a while for bites I’ll stiffen some of the paste up by adding more groundbait. 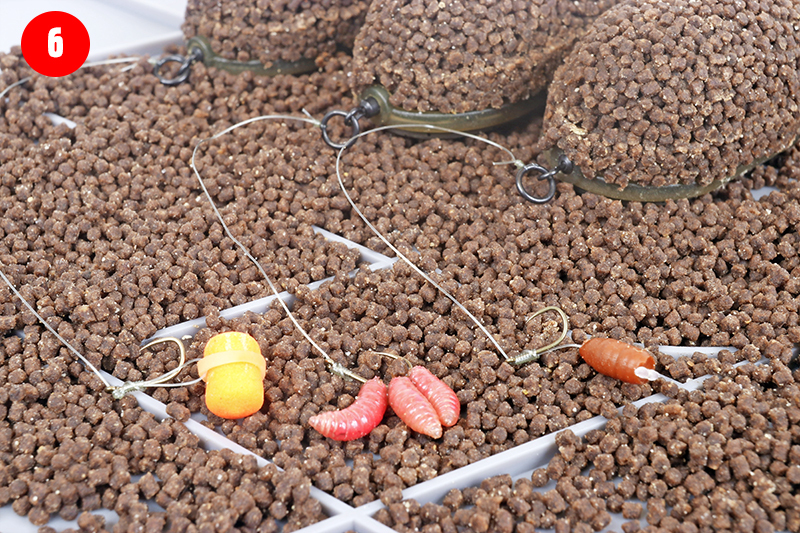 “Feeding is just as important as the hookbait. On a prolific venue, don’t feed much or you’ll be dogged by foul-hookers and line bites. 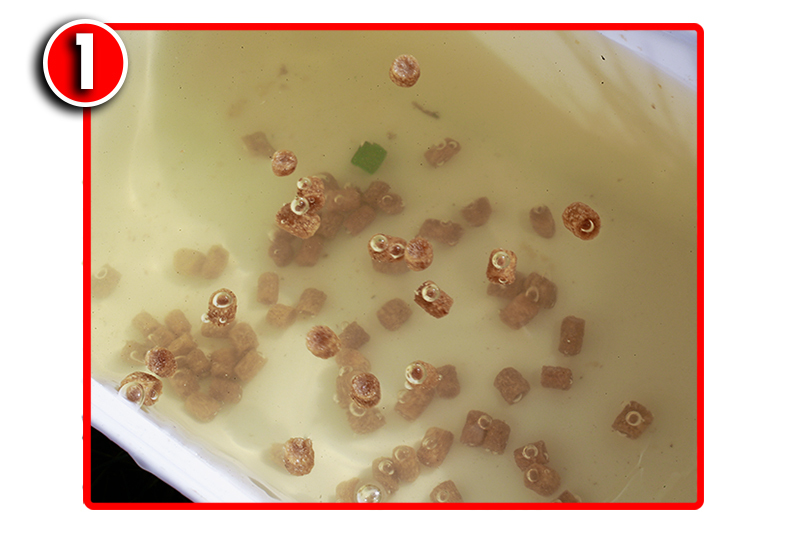 I just place a small amount of corn and pellet in a pole cup, place my paste hookbait on top and cup it all into my target zone. “Then I’ll repeat this process after each fish. 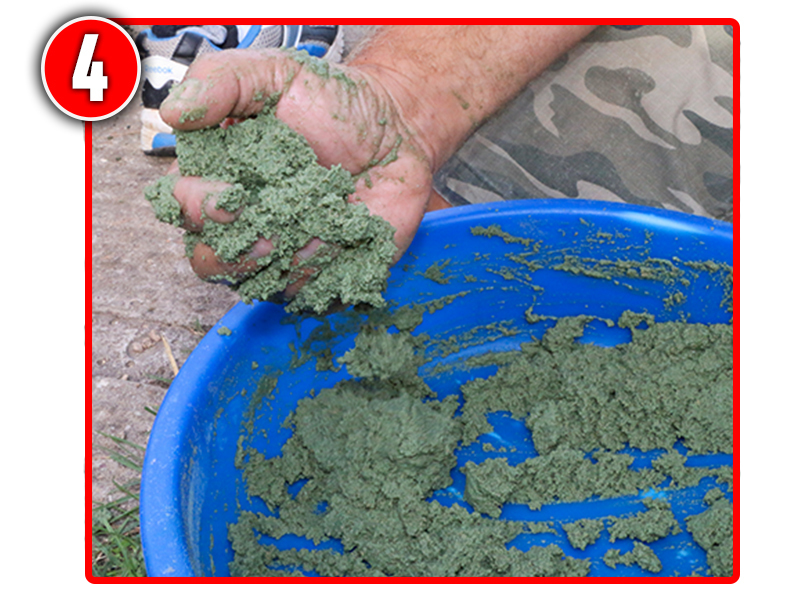 Pour a whole bag of Dynamite Baits Green Swim Stim groundbait into a shallow, round bowl. 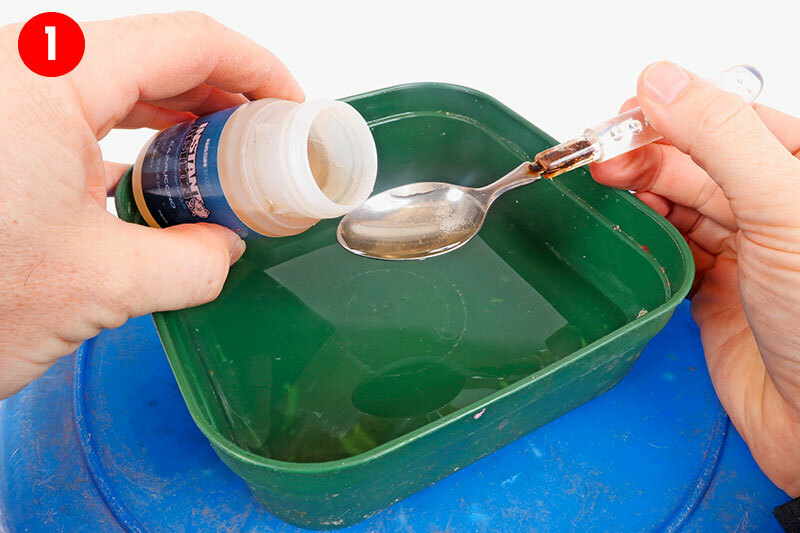 Add four pints of lake water to the groundbait. Mix vigorously so the water is evenly distributed. 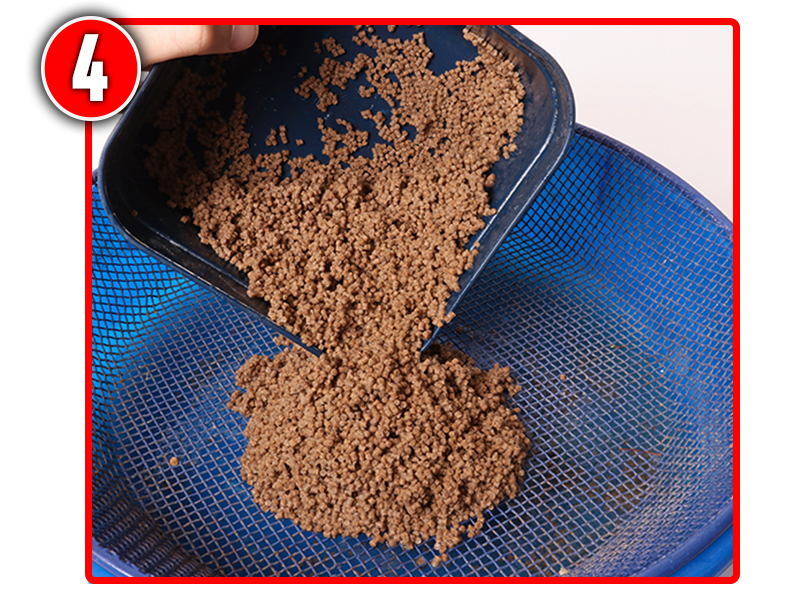 After 15 minutes the mix will have stiffened up – perfect. 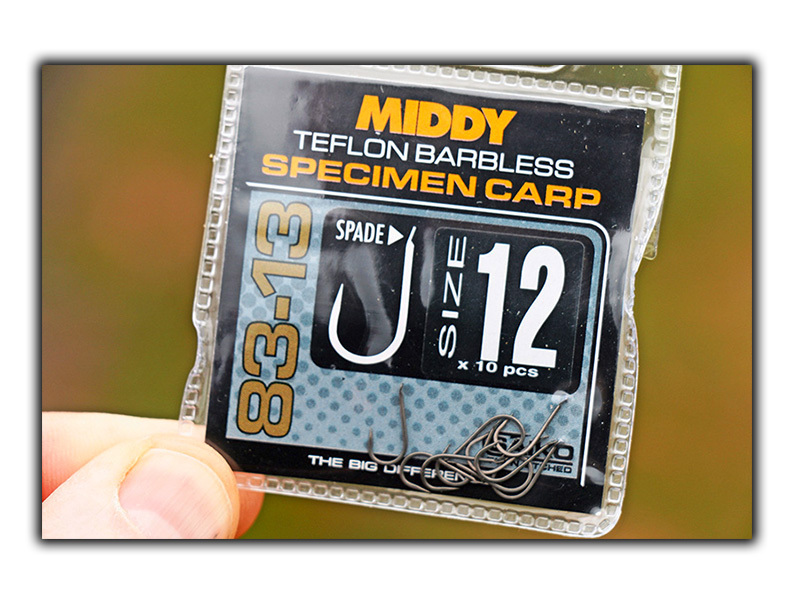 Mould the paste around a size 16 Guru Pellet Waggler hook. 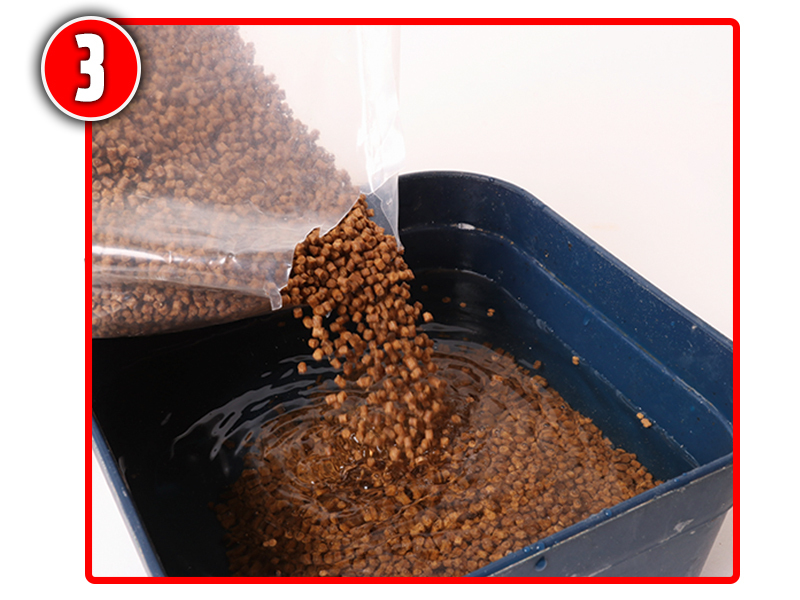 Cover a pint of dry chickpeas with two pints of water in a bait tub. Add about a teaspoonful of red dye. 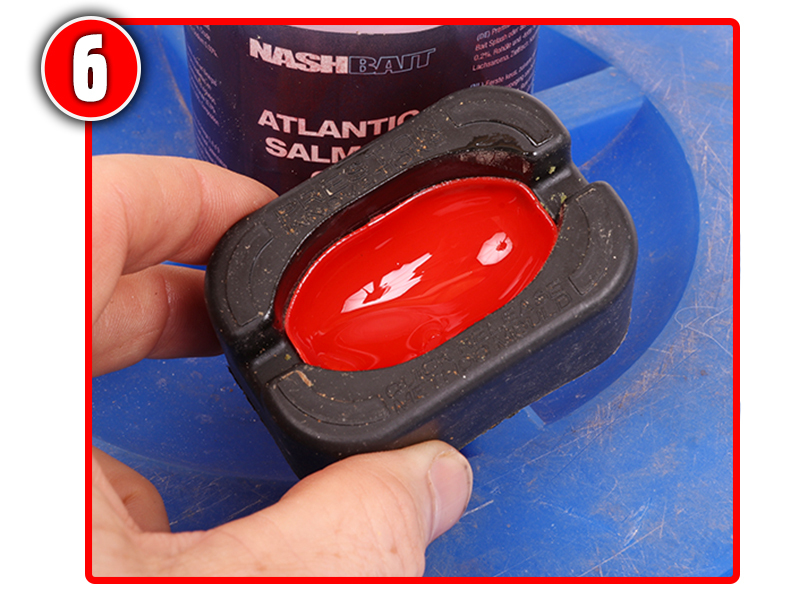 This will darken the bait down and make it blend in better. 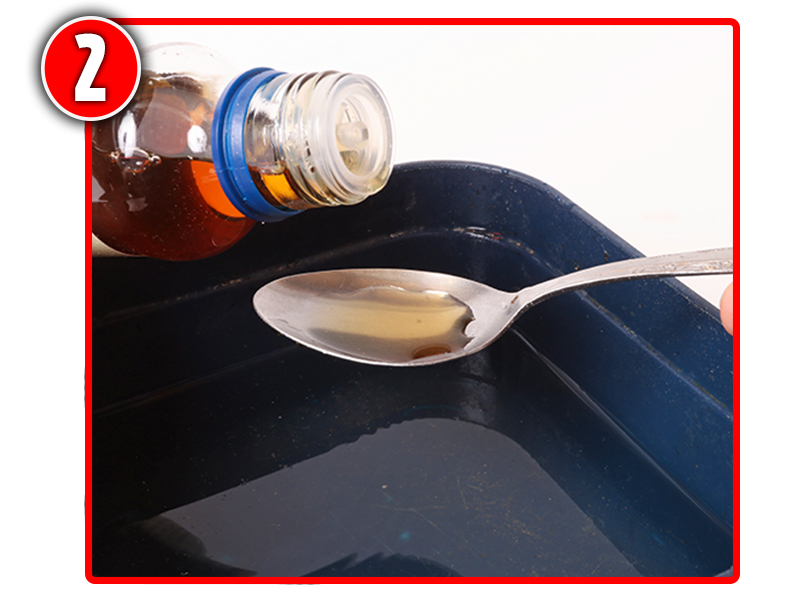 Add a teaspoonful of Scopex No.1 flavour and half a teaspoonful of intense sweetener or Betalin sweetener. Leave in the fridge overnight so that the chickpeas will be completely rehydrated. 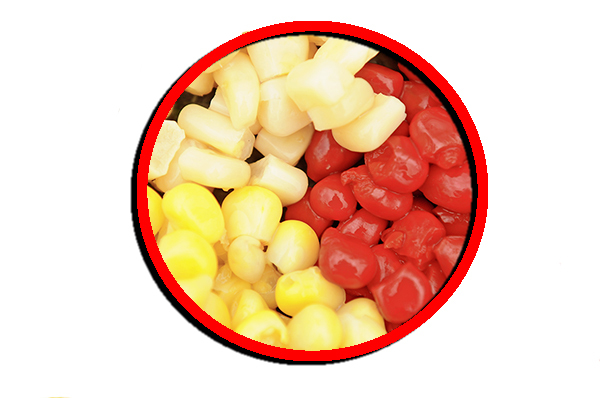 The flavour and colour will be drawn right into the bait.